Frictionless - Buzzword or Real Shift in Retail Technology at the NRF Big Show 2019? 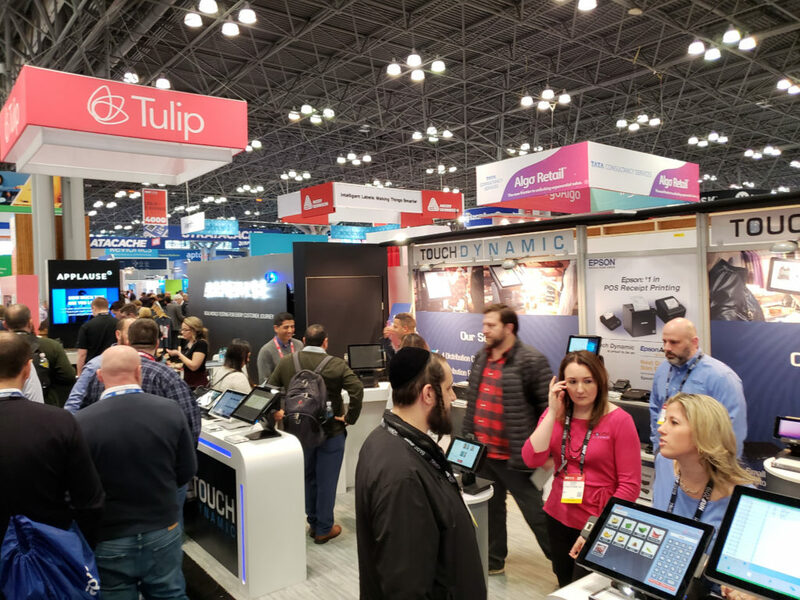 Frictionless – Buzzword or Real Shift in Retail Technology at the NRF Big Show 2019? The annual National Retail Federation (NRF) “Big Show” is always the place to see the latest and greatest in retail technology. With over 30,000 attendees from 99 different countries flocking to the Javits Convention Center in New York City every January, the industry’s largest companies show off bleeding edge technology for retailers. Every year there seems to be an overriding theme at the show. A buzzword that seems to take over and be on the tip of everyone’s tongue, and 2019 is no different. After spending three days speaking to exhibitors and attendees, it’s clear that this year’s buzzword is “Frictionless”. But is it just a buzzword or a real shift in retail technology? Like any buzzword, the real meaning is sometimes up for interpretation. Frictionless for whom? The customer, the retailer, the supplier, the manufacturer or some wholistic meaning encompassing all of the above? Customers expect more from retailers than ever before. Not only do you need a great product at a fair price but you need to delight at every step of the buying process. Customers demand that a retailer have full visibility across the business and provide a frictionless omnichannel experience from the web, to mobile app to store. A retailer needs visibility across all channels and “one version of the truth” to make the customer shopping experience effortless. Whether I buy online and pick up in store (BOPIS), have product delivered to my home, or go into a store to browse the experience must be seamless. Gone are the days when a retailer can ask customers to stand in a queue and overcome many physical and virtual barriers just to get the products that they want. Streamlined transactions that no longer require a bulky checkout lane are enabled by technologies that allow you to tap an electronic product label with your cell phone or maybe a contactless hand scan that securely processes a sale to a linked credit card. You thought EMV chip cards were a shift in payments? Soon there will be no cards and only virtual terminals. Ask a customer to sign a piece of paper? Forget about it. Payments are not the only area removing friction in transaction process. Identifying products doesn’t require a cashier to physically scan a barcode any more. Image recognition, RFID tags and digital watermarks allow products to be “scanned” seamlessly. Pickup a product and walk out. Zero friction. Artificial Intelligence (AI) enabled decision making not only helps you to make better decisions but can effectively eliminate the process altogether. Instead of a person running movement reports to make decisions on how much product to order and what price to sell it at, retail technology is enabling automated inventory management. Robots wander the aisles identifying items that need to be reordered, shelving embedded with sensors and cameras detect when a product is low on stock and sends an alert and sophisticated algorithm determine what to order automatically. Using big data and cloud computing, retailers are able to make calculations looking at massive amounts of data without having to invest in infrastructure and staffing to do it. Eliminating friction points is not only important for your customers and executive decision makers, it enables and empowers your staff to provide the person to person service experiences that your customers expect. At NRF, there are technology providers that give retail staff everything they need at their fingertips with mobile devices, allowing them to serve their customers and complete a transaction anywhere on the sales floor and beyond. If a manager wants to make a price change to respond to competition, they can do it in the aisle with a handheld device and simply watch the electronic shelf label update with the new price. No more printing and sticking shelf tags or worse, avoiding changes because of the labor costs involved. Creating a frictionless experience for your customers should be the goal of any retailer. Have a great product and make it as easy as possible for your customers to buy from you. Technology is really enabling retailers to create great shopping experiences for their customers. Frictionless is more than a buzzword, it’s a fundamental change in retail driven by customer expectations enabled by cutting edge, converging technology and it’s here to stay. For more on leading edge retail technology solutions that eliminate the friction between you and your customers, contact Auto-Star at (888) 460-6963 or visit www.auto-star.com.